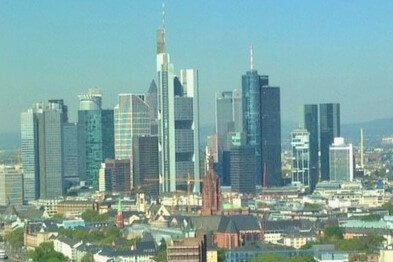 The history of Frankfurt is more than 1.200 years old. Starting out as a free imperial city, the place of the election and coronation of the German kings and Emperors, it developed into the financial center of Germany. During this tour we will visit the historical city center with the famous Römer square and the “cradle of German democracy”; the Paulskirche. Stroll through the streets of Frankfurt, by the birth house of Johann Wolfgang Goethe and enjoy a breath taking view from the Maintower over Frankfurt and into the surrounding Taunus. Since the 12th century Frankfurt had Jewish citizens, who were banned to live in a Ghetto in the 15th century. They still stayed loyal to the city and suffered through several medieval holocausts. After the closure of the Ghetto in the 19th century, they experienced a time of great cultural and economical uprising until the Nazi era. During this tour we will visit places of Jewish life like the Jewish cemetery, Frankfurt’s biggest Jewish memorial and the Museum “Judengasse”, where ruins of the former Ghetto can be seen. We follow the traces of the famous Rothschild family and other Jews who shaped the history of Frankfurt. 1585 was the founding year of the Frankfurt stock exchange. Ever since it has grown to be the seat of the European Central Bank, the German Federal Bank, the Frankfurt Trade Fair as well as the seat of many international banks. We will visit the Maintower to enjoy the view of Frankfurt’s skyline, unique in Germany and walk by the European Central Bank and its world famous Euro sign. At the Money Museum we will learn more about the financial world as well as at the old stock exchange downtown.